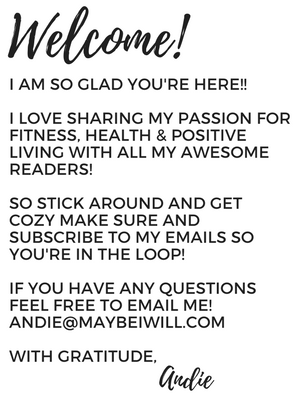 This post is brought to you by NOW® Foods Official – Opinions expressed are 100% my own. 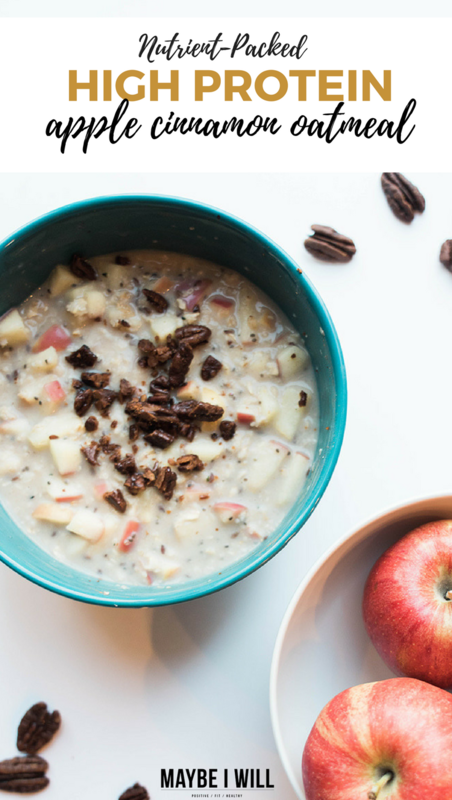 This delicious and comforting Apple Cinnamon Pecan High Protein Oatmeal is packed with nutrients and deliciousness to help energize and power your day! One of my favorite things about fall are the long Indian summer nights and the apple trees filled to capacity of delicious apples. There is something magical about walking in the grass at the end of long day and walking right out to my OWN apple tree and grabbing an apple to much on. I do that a lot come fall when my little apple tree is filled with apples. But as of right now there is still a chill in the air as Winter is refusing to give up its claim on Utah. But I can see signs of spring starting to pop in and say “hello”. It’s the small tiny buds on my apple tree that makes me the most excited for spring, summer and of course fall when my apples will FINALLY be ready to eat again. Till then it’s off to the grocery store to buy my apples and make my comforting bowl of warm apple cinnamon pecan high protein oatmeal. 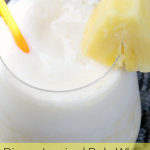 It is the perfect post-workout treat to help refuel my body and warm back up! 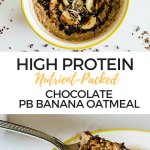 I honestly eat oatmeal of some sort every day after I workout – It is the perfect combo of protein and carbs that helps me to properly refuel my body after an intense boxing, running, or lifting session. 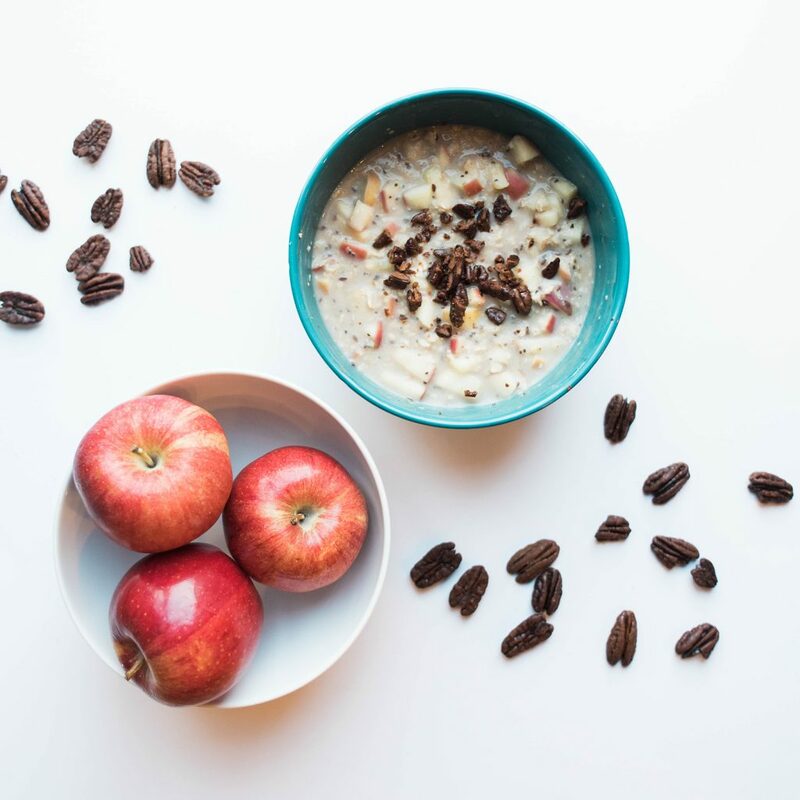 When using apples in your oatmeal, there is no need to cook them ahead of time you can just drop them and add them to your water and oats! 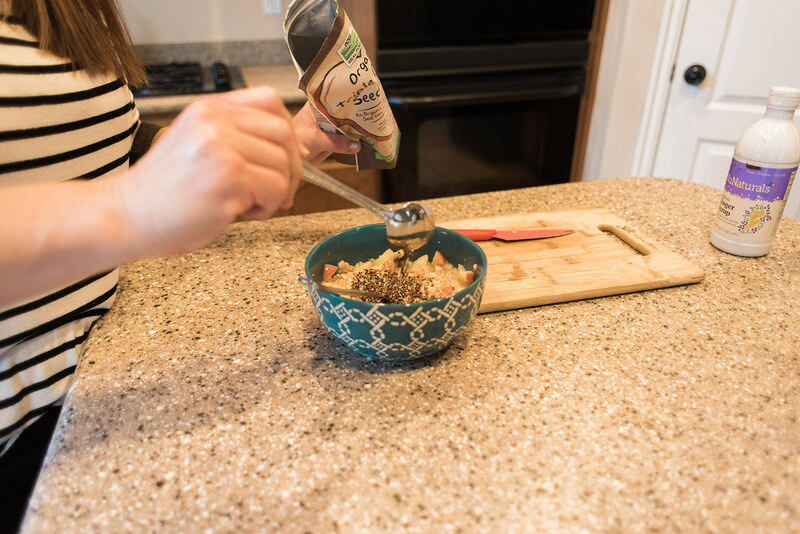 I love NOW® foods Organic Oats they have a great flavor and I know that they are the best quality. Just chop up your favorite small apple add it to your oats – I like to use 1/2 Cup oatmea1 to 1 cup water – then microwave your apple and oats for 5 minutes at 70% power. 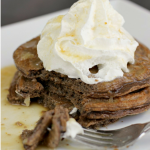 Next, I’ll add some cinnamon, maple syrup, or NuNaturals Ginger Syrup, and to thin it out, I add some extra protein I will use an AdvantEDGE French Vanilla premade protein shake! 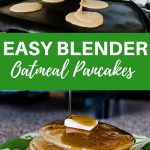 It gives my oats a delicious creamy texture. 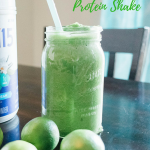 If you don’t have any of the premade shakes just add a scoop of your favorite protein powder and add some soy or almond milk until the desired consistency is reached. And now for the REAL star of the show! The Honey Roasted Pecans from NOW® Foods! They are one of my favorite little treats to enjoy! 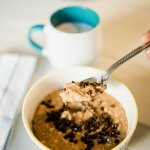 They are the perfect way to top this delicious bowl of oatmeal goodness!! Just a word of warning these delightful num nums are highly addictive – so portion control might be an issue… just saying. 1 AdvantEDGE French Vanilla Protein Shake Use enough to get desired consistency and then drink the rest! 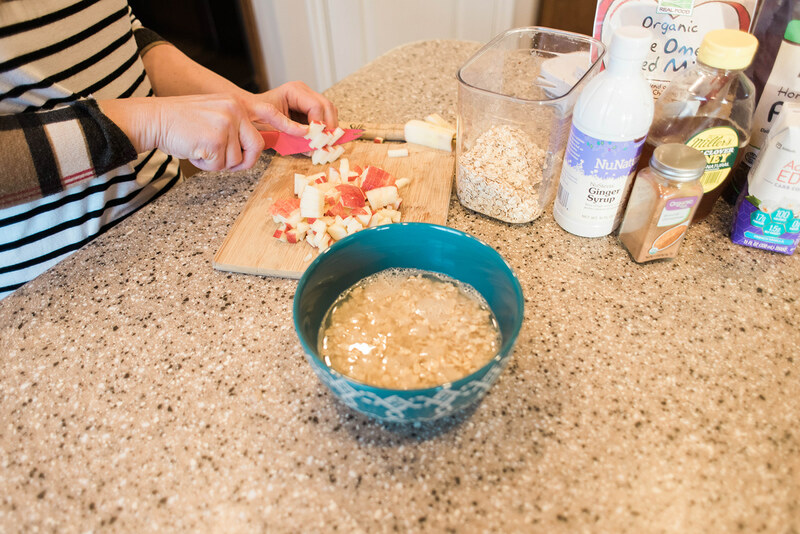 Add cinnamon, ginger syrup, seed blend, and protein shake -blend until rich and creamy and desired consistency - then top with honey roasted pecans! 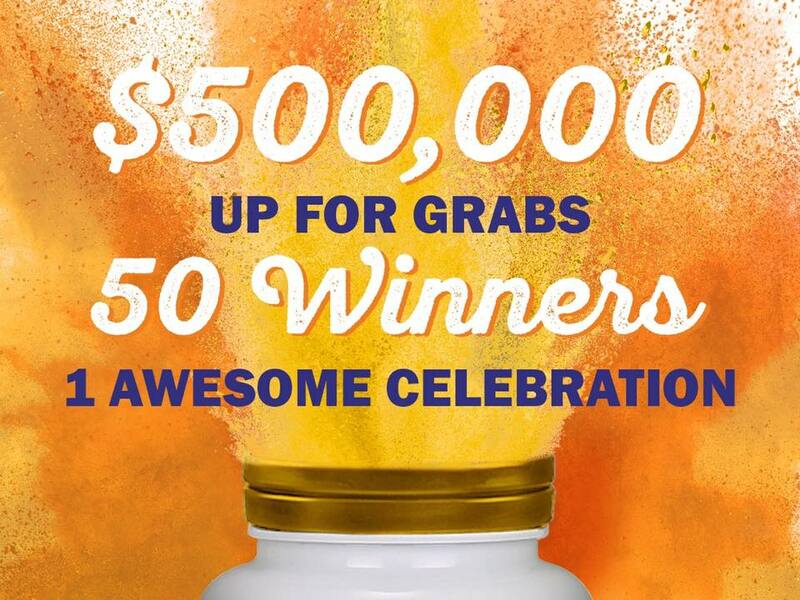 I am a HUGE fan of NOW® foods and I am so proud to be a NOW® Foods Blogger – For more information about NOW® and their amazing products and EXCITING 50-year celebration and crazy giveaways! Head over to their site!